Look what I bought recently. 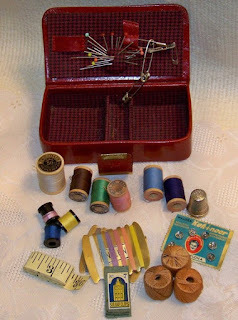 It’s a vintage sewing box and sewing needle case. They are both so beautiful and I can carry them in my handbag wherever I go. 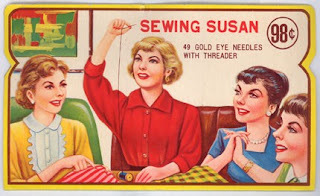 How cool is that –sewing on the go. 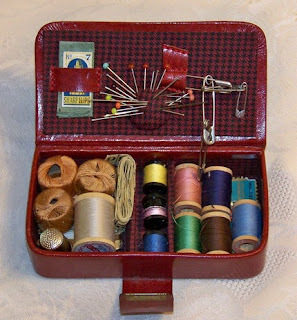 It has a small pincushion, a few spools, tape, snap-on's.... basically everything that you can possibly need in an emergency. This is how it looks once it is closed. It looks a little big here in the picture but it is much smaller. These needle kit is so cute. I love the pictures on it. 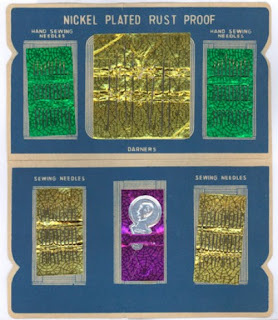 It still has all the needles intact. 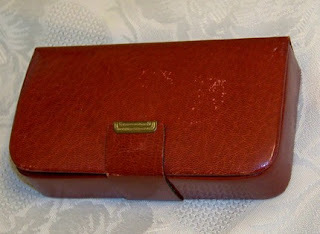 I absolutely adore anything vintage. I sometimes wish I had a magic wand, which takes me back a few generations, so that I could shop to my heart’s content and then come back to present again, ha ha yes, come back, to my family of course. Hope you guys agree with my train of thought.